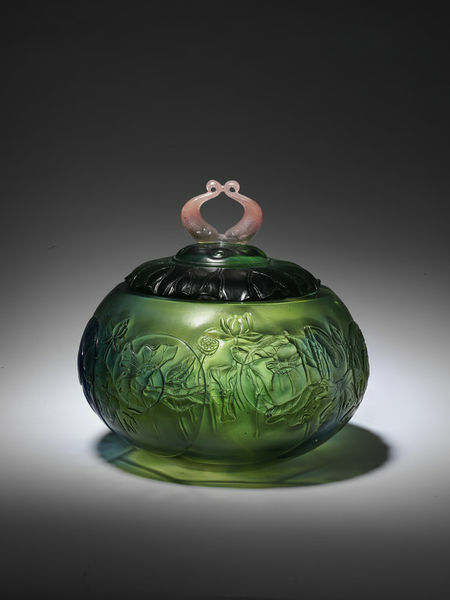 This jar would have been an object decorating a couple’s home. The form and motifs are full of auspicious symbols. The jar is in the shape of a fruit. The pink knob represents two little stems of the same root. And all around the box are images of lotus leaves, flowers and seeds. Circular box in the shape of a pumpkin. Of a light green colour the box has an all-round pattern of lotus flowers and leaves. 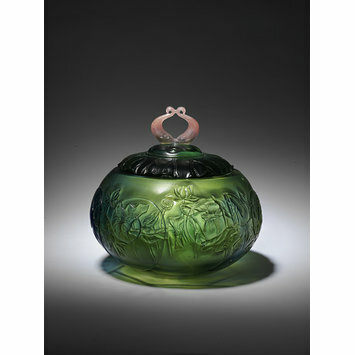 The lid is of a darker green, formed to simulate a lotus leaf. The knob of the lid is reddish pink.